Fuzzy Duck has completed a series of live action idents, for United Utilities’ sponsorship of the ITV Weather. 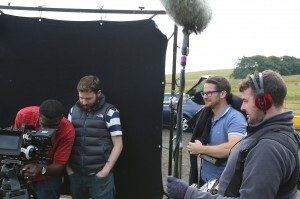 The Stockport agency filmed 5 United Utilities staff over 3 days on location in the North West. Provision supplied RED cameras and lighting, with the crew filming in 4K (ultra-high definition). The soundtrack was completed in partnership with Resonate, while 422 was used for the post production. “Through our internal b2b design and film work, we have gained a unique knowledge of the business. This has allowed us to capture key characters in United Utilities and help non professional actors perform in the idents,” said production director Nigel Moore. The first films are airing this week, with more set to be shown over the next few months. “This first set of idents is just a taster of what’s to come. We’ve filmed everywhere from call centres to underground tunnels and we hope the audience enjoys the variety,” added cinematographer Anderson West. For the last 2 years, the idents have been created by One Marketing Communications.